A Sussex sheep farmer has turned the issue of livestock worrying on its head and taken to a popular dog walking spot to have ‘positive’ conversations with dog owners. Since the event with South Downs National Park rangers on March 8 and 9, locals have become farmers’ eyes and ears on the ground, he said. The two-day campaign paralleled a similar event at the beginning of March last year, where police, dog wardens and farmers teamed up to share positive messages that the countryside was there to be enjoyed by dog owners – but responsibly. “Because of the police presence people got that it matters and it was not just farmers complaining,” Mr Exwood said. Response from the public has so far been very positive, Mr Exwood said, with locals enjoying the face-to-face farmer interaction. He said: “Most people are good responsible dog owners and it is only a small minority that lets them down. “The issue that keeps cropping up is professional dog walkers, and it is a huge problem. They walk about 10 dogs at a time and do not have a hope in hells chance of controlling them. 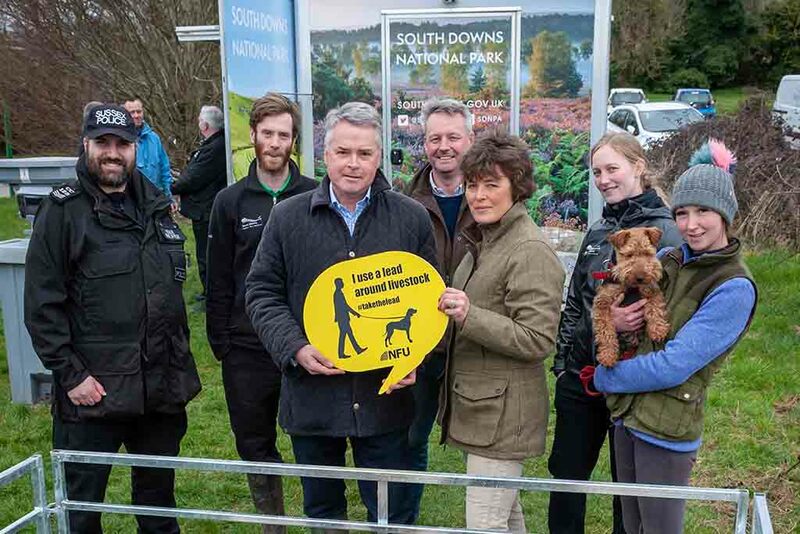 West Sussex NFU chairwoman Caroline Harriott added: “We rolled the event out this year to locations where there is a lot of dog walkers who do not understand how usually if you walk your dog and they are not under control, how quickly it can go very wrong. “But there is no quick fix. It is about awareness and speaking to people and hoping they take some ownership.